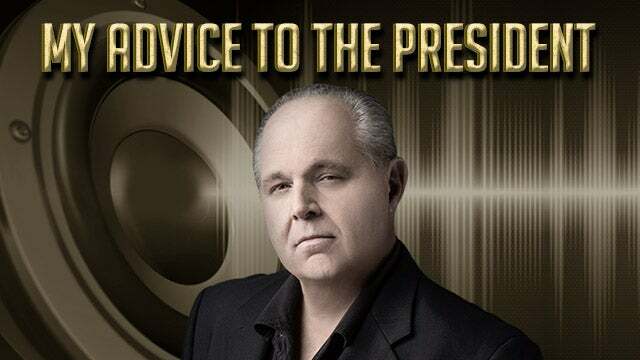 RUSH: I think the president should shut the border. If he shuts the border and builds the wall, there is nobody, Sean, that can beat him in 2020. It remains the issue for the vast majority of freedom-loving, Constitution-loving, American-loving citizens. If it doesn’t happen, the country that we know and love… There’s always gonna be an America, but it’s not gonna remain a constitutional republic as founded if we don’t get a handle on this. It’s nothing about these people that makes them bad. It’s the rule of law. Once you allow people to break the law, once you signal lawlessness is okay, then where does it stop? These people are not being conditioned to assimilate. The Democrats don’t want ’em to assimilate! The Democrats want to keep them poor, want to keep them dependent so they will always vote Democrat. The Democrats are not compassionate people. The Democrats need a permanent underclass. They want these people to come in here, remain in power, remain in need. If they’re gonna be here, let’s turn them into productive people that can help this country grow. But right now, we’ve got to stop the flow — and if Trump does that, Sean, with a wall or shutting the border for a little while to make sure we get a handle on those who are in the country now, nobody can beat him. RUSH: Just moments ago, while the president was touring Lake Okeechobee with Governor Ron DeSantis of Florida… They were taking a tour around the aging Herbert Hoover Dike. Did you know there was a dike at Lake Okeechobee named after Herbert Hoover? Well, there is, and they were taking a tour around it ’cause it’s aging out there, and this is what President Trump said about the crisis at the southern border. THE PRESIDENT: Mexico’s tough. They can stop ’em but they chose not to. Now they’re gonna stop ’em. And if they don’t stop ’em, we’re closing the border, close it, and we’ll keep it closed for a long time. I’m not playing games. 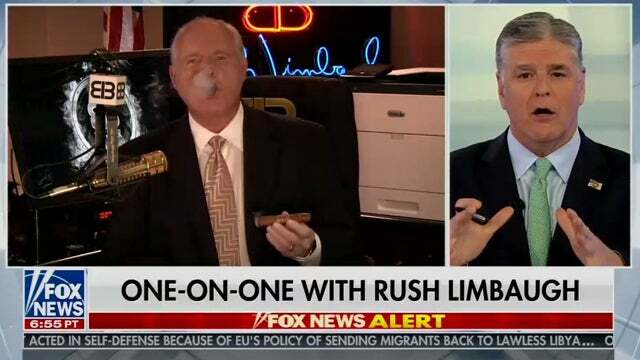 RUSH: Well! Well! So the president said mere moments ago that he’s gonna close the border and he’s not playing games. I mentioned this both on Bret Baier’s show and Hannity’s last night, and I’m amazed that every time I mention it the number of people who are surprised and don’t know it, and it’s why I continue to mention it. We as a nation stopped, we shut down legal immigration, all immigration from the early 1920s through 1965. We just shut it down. Now, people got in. I mean there are people that applied on special exemption purposes. It was not zero admissions, but, I mean, we actively shut down immigration as a policy for 40 plus years. The reason for it was that there had been so many people emigrate legally in the late 1800s through the early 1900s when Ellis Island was going bananas. The reason we did was to assimilate all of those people. Those people came to this country desirous of becoming Americans. But they were from all over the world. They knew they wanted to come here, they had dreams of coming here, they knew about America, but they had to learn it being here. And they wanted to become citizens. There are things that you have to be able to learn and pass on a test to become citizens. They did not sacrifice their origins and they, in many cases in the big cities, set up neighborhoods based on their nationality. Irish neighborhoods, Italian neighborhoods, Polish neighborhoods, you name it. But they wanted to become Americans. They wanted to escape whatever poverty, unfairness, totalitarianism, whatever you want to call it, they wanted freedom. And if you’ve never had freedom, it’s a shock to your system. Requires a lot of self-reliance, self-determination. And assimilating people in any country if you move anywhere and want to become part of that country, assimilation is part of it. The purpose of immigration is to make immigrants, in our case, Americans. We don’t want them coming here and Balkanizing and separating themselves from Americans and having their own neighborhoods, not learning the language. If they don’t learn the language they’re never gonna get a job, they’re never gonna get an education. All of these things have to happen. We shut down immigration for 40 years to handle the load that had come in and to assimilate them. Now, it’s interesting. In 1965, it was Senator Kennedy and the Democrats who made the move to reopen immigration. And from the moment they did, it always had a political objective, not a national objective, not a patriotic objective, but a political one. And we opened the floodgates in 1965 and illegal immigration soon began thereafter. It was not that it wasn’t happening, but excusing it and allowing it and then accommodating it began in earnest. And by the time 1986 came around, there were by count three point-some-odd-million illegal immigrants. And it was roiling our culture then like it is now. So Alan Simpson and a counterpart in the House, Democrat named Mazzoli came up with a piece of legislation called Simpson-Mazzoli, and it was an amnesty bill. It granted amnesty to what at the time were said to be 3.1 or 3.6 million illegal immigrants. And everybody promised back in 1986, they promised Ronaldus Magnus, if you sign this, then this ends it. We’re gonna control the border and we’re gonna stop illegal immigration. But amnesty is the only way to deal with the ones who are here now. Everybody went along with it, and we see what happened. Now we’re talking about a minimum of 11 million illegals plus the chain migration plus the kids that are born here that automatically become Americans when their parents are not. So it’s so far beyond 11 million. A million and a half illegals came in last year. 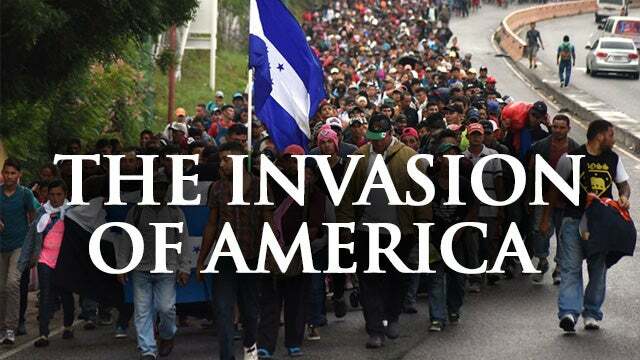 Apparently the largest caravan of the last five years is forming and is to soon be making its way to the United States. It is entirely possible to shut the border. We’ve done it. We did it for 40 years. It’s not mean. It’s not inhumane. It’s not separating mommies from their children. It’s none of that. And the key to this, as far as the left is concerned, is to never use the word illegal. It’s always immigrants. And we are a nation of immigrants. The backbone of our nation is immigrants. Not illegal ones. I can’t emphasize enough that once you allow lawlessness at such a scale as is happening with this issue, then what good is the law anywhere? Once you go down the slope of not enforcing it on such a massive scale like this, then it’s Katie, bar the doors for illegality. That’s how we get sanctuary cities. It’s how we get any number of other adjuncts to this. Trump was elected on this issue, and if they’re not gonna build a wall or help, then something has to be done because the very existence of American culture, the distinct American culture that gives us American exceptionalism is what is at stake here.